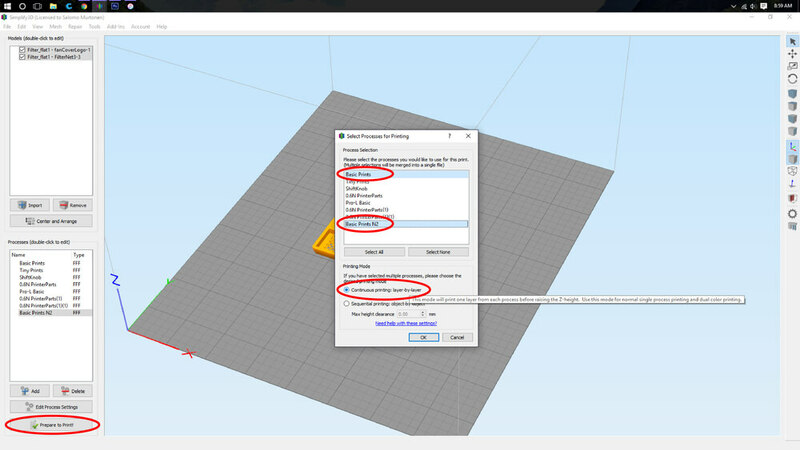 Two Material Prints with Simplify3D | Makeit, Inc.
Before you can setup a two-material print in Simplify3D you will need CAD files properly setup for two-material printing. 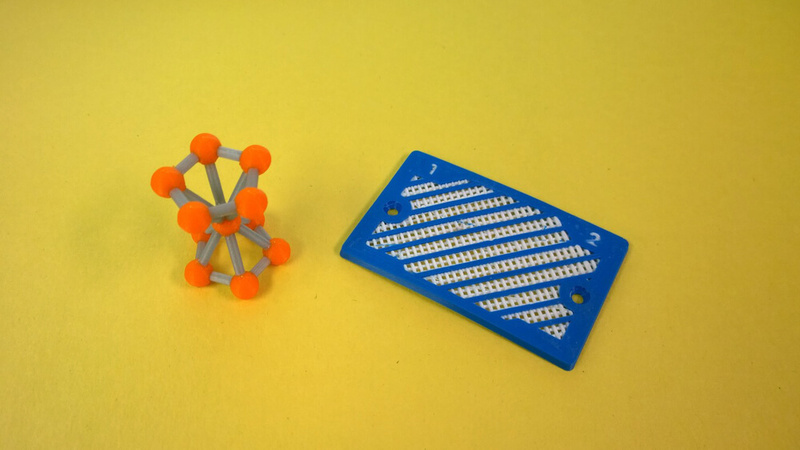 For information on properly exporting files, please see the video Preparing an Assembly for 3D Printing In Two Materials on our YouTube channel. First, import the two files that comprise both parts of our two-material print. 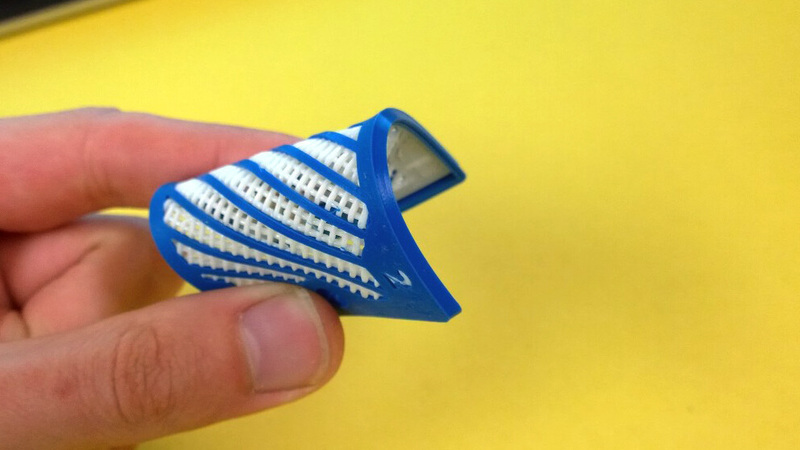 In this case, I have chosen a custom variation of the MAKEiT extruder head fan cover. With our two files imported and selected, choose Align Selected Model Origins from the Edit drop-down menu. Now we see the two parts aligned and centered. Leave this first profile set to utilize Extruder 1, but before closing the Profile Settings click on Select Models from the bottom of the window. From this dialog, make sure only the part that is meant to print from Extruder 1 is highlighted. 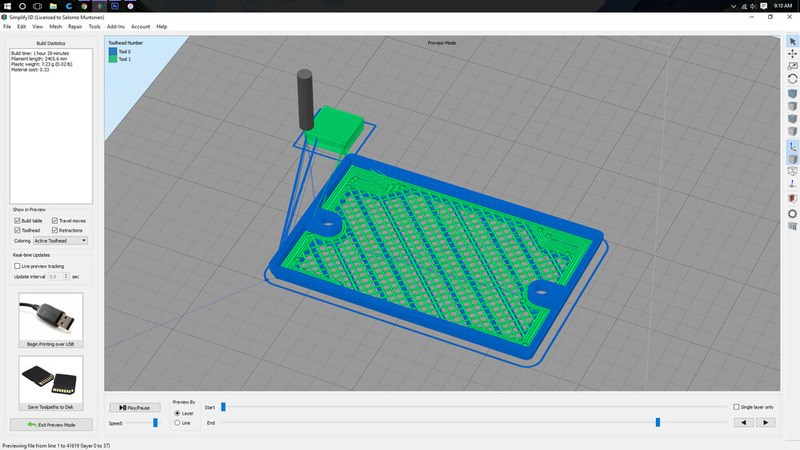 Next we need to setup a second process for printing with the second extruder. Create a second copy of your process by selecting it from your Processes tree, then pressing Ctrl+C to copy and Ctrl+V to paste, (Command+C and Command+V on Mac). Below I have copied my Basic Prints process, and renamed the resulting copy Basic Prints N2 to indicate Nozzle 2. 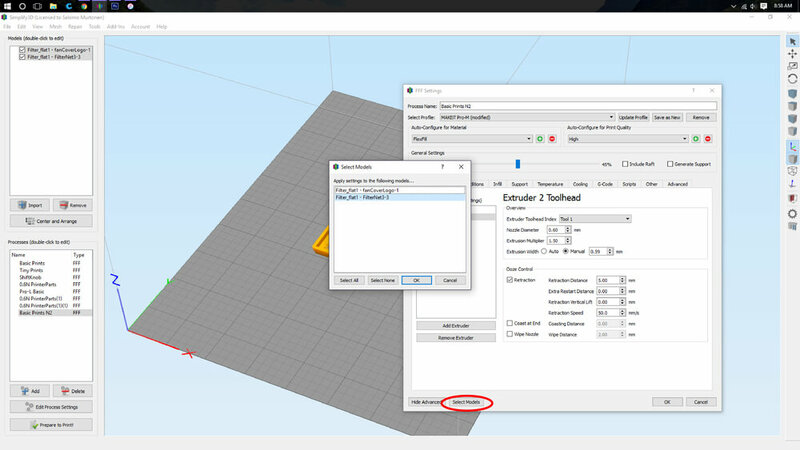 With our new process ready to print from Extruder 2, once again click Select Models and highlight the part that is meant for material 2. Before we finally send our file to print, it’s important to make note of the Tool Change Retraction options from the Advanced tab. These values will change depending on what material we use and how often the tool changes are. 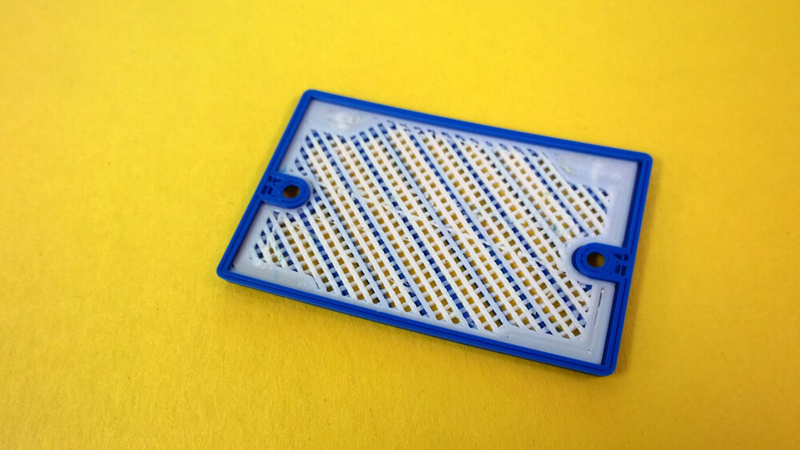 For example, a flexible material might require a much longer retraction at lower speeds to keep from leaking, compared with ABS which might only need a very short retraction and can withstand higher speeds. This setting is very specific to our specific material choice, so some testing might be necessary. With our processes set up, click Prepare to Print. 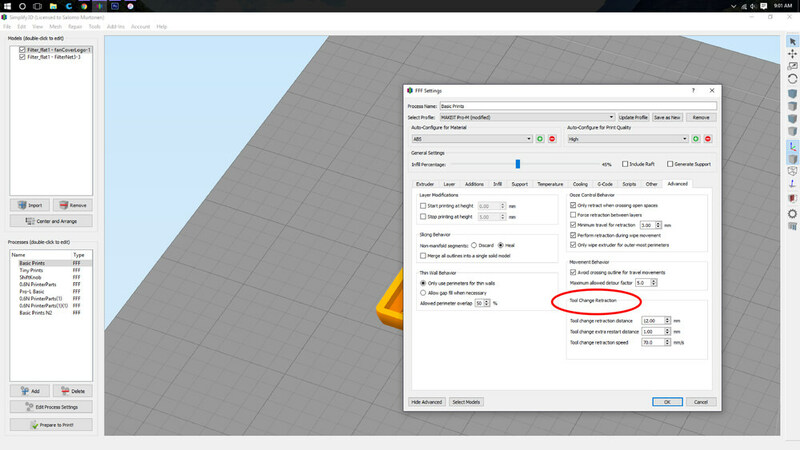 From the selection dialog, make sure only our desired two processes are selected and Continuous Printing is checked. 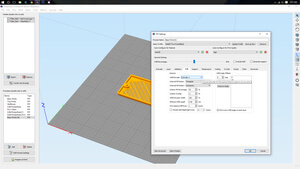 With the S3D display window color coded by Active Toolhead we can see how the two materials will print together. You can see for this print I have chosen only to print the Prime Tower with Extruder 2. This is because the first layers of the part Extruder 2 would otherwise not print anything and would cause the material to burn in the nozzle. 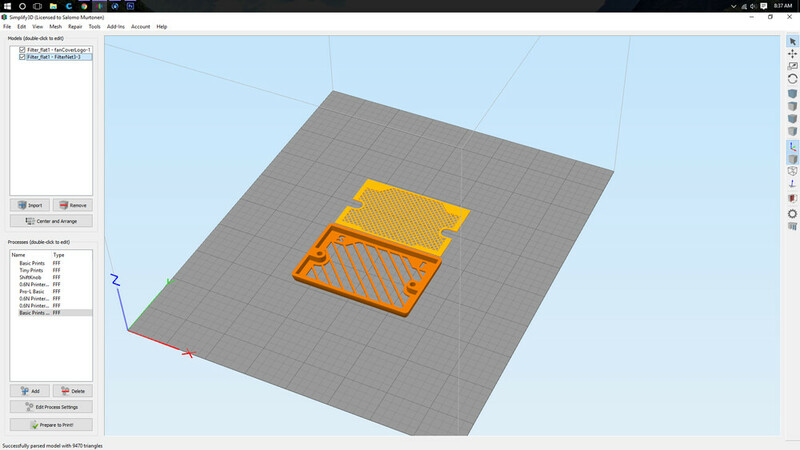 As I have set this print, the second extruder will print some extra filament each layer to prevent burn-in. This tutorial is just a guideline for how to setup two different materials to print together. There are many other tricks and settings that can be adjusted to improve results based on your specific part design and material choice, so testing is important.